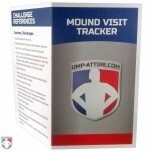 As a plate umpire, depending on your level, you'll need to record trip meetings and lineup changes. 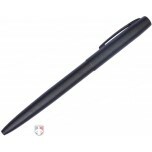 For pens, those that dry quickly in wet or humid conditions are preferred. 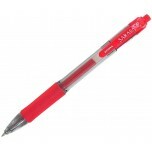 Red ink tends to stick out better from coaches' writing. 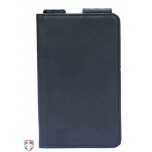 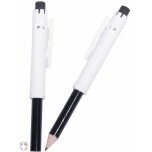 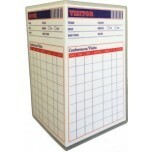 For a pencil, the one-of-a-kind, compact pencil with pencil shield below was designed specifically for sports officials. 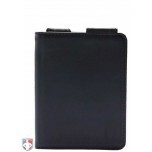 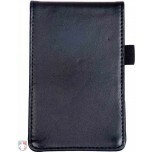 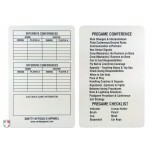 Flip or book-style wallets made specifically to store lineup and trip cards will double as your writing surface, fit neatly in your umpire shirt pocket and have you managing your in-game tasks like a pro.